Daughter of a clothing designer, Janie started sewing at age 3. Learning garment construction first. Designing patterns came naturally with coaching from her mother. Earning a scholarship to the University of Madrid, Spain Janie learned and toured early architecture in Europe. The influence of that design was the beginning of a life long career in quilting. Janie Donaldson Mullen is now considered the most experienced long-armer in the world with 34 years of long arm experience with an accomplishment of over 7,000 quilts. 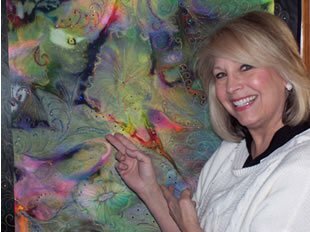 Janie's award-winning quilting has brought her recognition and many requests to teach throughout North America. 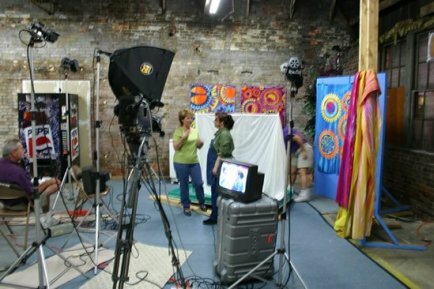 She has hosted an acclaimed educational program called Quilt Central for both PBS and the Create Channel. More than 100 episodes have aired to date – the show has won 11 awards & was nominated for an Emmy. It was also christened as a national series and marketed at the Cannes Film Festival in France to many other countries. Janie has also authored three books for the American Quilters Society. Staying up-to-date with today's trends, Janie is currently focusing on computerized long arm training and creating online content for long arm quilters. With a vast amount of quilting information at her fingertips a quilting certification program has evolved as one of her accomplishments. Custom printed fabrics with instructions make learning easy and fun. Janie regards this collection of techniques as the legacy to her lifetime of quilting as a career.